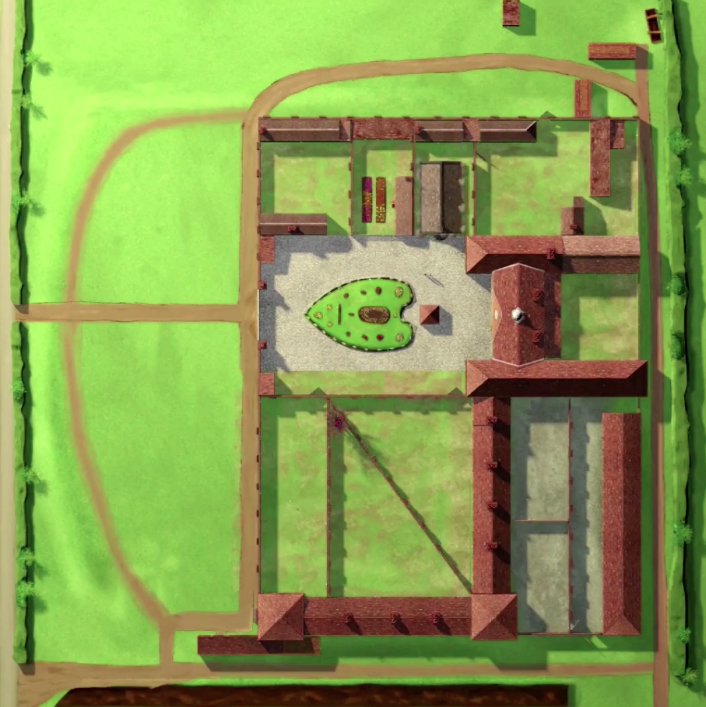 A centre-piece attraction at Gressenhall Farm and Workhouse, ‘Building the vision’ is a five minute projected animation which shows the Workhouse being created, from above, during three of its key time periods. 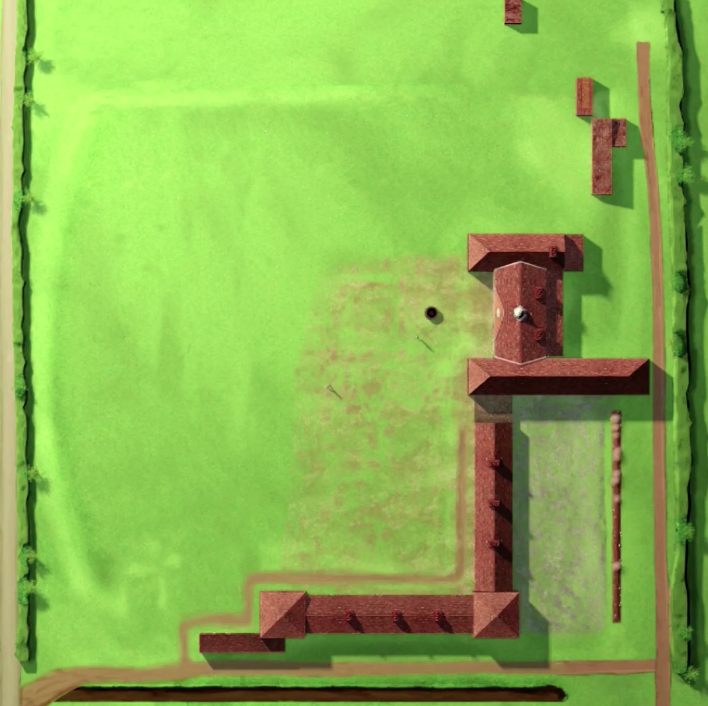 The bird’s eye camera zooms in from a county-wide view – to show the growth of workhouses over time – and into an overhead view of the grounds. Buildings, gardens, windmills all ‘erupt’ from the ground in an engaging and fun sequence. 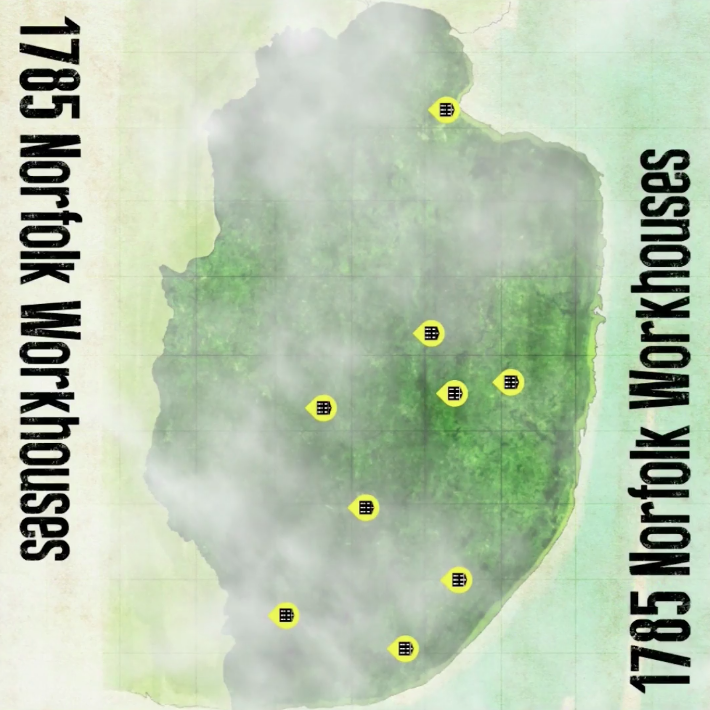 I worked very closely with the Gressenhall team and an animation agency (that I selected) to ensure that over 100 separate building elements appeared at the right time – and in the right place!